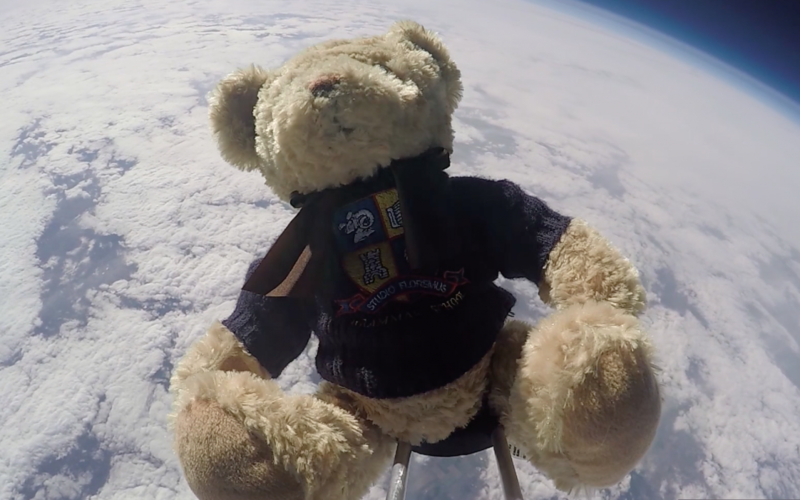 Small Business Grants is pleased to reveal the winner of October’s £5,000 competition is Sent into Space. The project would inspire Sent into Space, a company offering marketing, research and education with a focus on near space. Dr Baker and Dr Rose have grown the company to a turnover of circa £300,000 and are looking to expand into providing services for developers of high-altitude equipment such as near-space satellites. The company has also launched a service that scatters the ashes of the deceased from space. Alex Keen, who looks after projects and innovation at the company says, ‘Winning this grant is a wonderful achievement for Sent Into Space. This money will allow us to buy a brand new CNC machine, which means we can expand the range of materials we use to build our near-space payloads and greatly improve our turnaround time for new projects. The Small Business Grants judges were impressed by the innovation shown by the company, as well as the partnerships forged and the degree to which the grant can take the business forward. Rupert Lee-Browne, founder of Caxton FX feels that the company has made its service accessible and easy to buy which is reflected in its growth. ‘The grant will go towards a piece of kit that will make a significant difference to the business,’ he adds. Andrew Clough, founder of The Brew says, ‘I love the multi-stream nature of the business in terms of how it appeals to education, research and the home enthusiast. And it’s impressive that this approach is underpinned by corporate sales. If you haven’t already applied for Small Business Grants, remember, November’s competition is still open! Entering is free and simple and our grant does not have to be paid back. If you run a small business at least one year old with a turnover between £50,000 and £500,000, you can apply here. All we ask is that you fill in a single form talking about your business. Please note: companies may only apply for this competition every three months.